EDF is poised to dispose of assets worth as much as €10 billion in an effort to shore up reserves ahead of the capital intensive Hinkley Point nuclear development project, according to reports. The Financial Times said over the weekend that the French state-owned utility will tackle its debt pile by selling off its upstream exploration activities at Italian subsidiary Edison, as well as its stake in American nuclear group CEGN. The news comes just days ahead of an expected final investment decision on the much awaited Hinkley Point C new nuclear deal. The capital intensive deal would be the first new nuclear build in the UK in a generation but the financial risks involved could damage the company’s credit rating. Late last month credit rating agency S&P said that a decision to go ahead with the Hinkley Point C nuclear new build “will likely lead to a downgrade, given the embedded high execution risks and significant investment needs”. EDF said earlier this year that it would conduct an asset review as part of a strategic refocus, but this is the first time that specific business units have been identified as potential targets. Analysts at RBC Capital on Monday added: “EDF needs to address its debt pile, and it’s clear sales are needed”. After three years of protracted government negotiations EDF seems set to make a final investment decision this week alongside its Chinese investment partners as part of an official Chinese state visit to the UK this week. 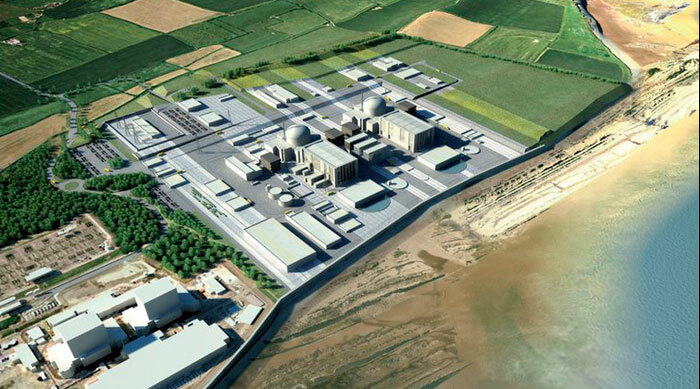 Under the terms of the deal the Chinese companies are expected to help help lead investor EDF Energy cover part of the Hinkley project’s £24 billion cost as well as a second EDF plant at Sizewell. In addition the UK will give China the green light to construct its own prototype nuclear reactor in Bradwell, Essex.